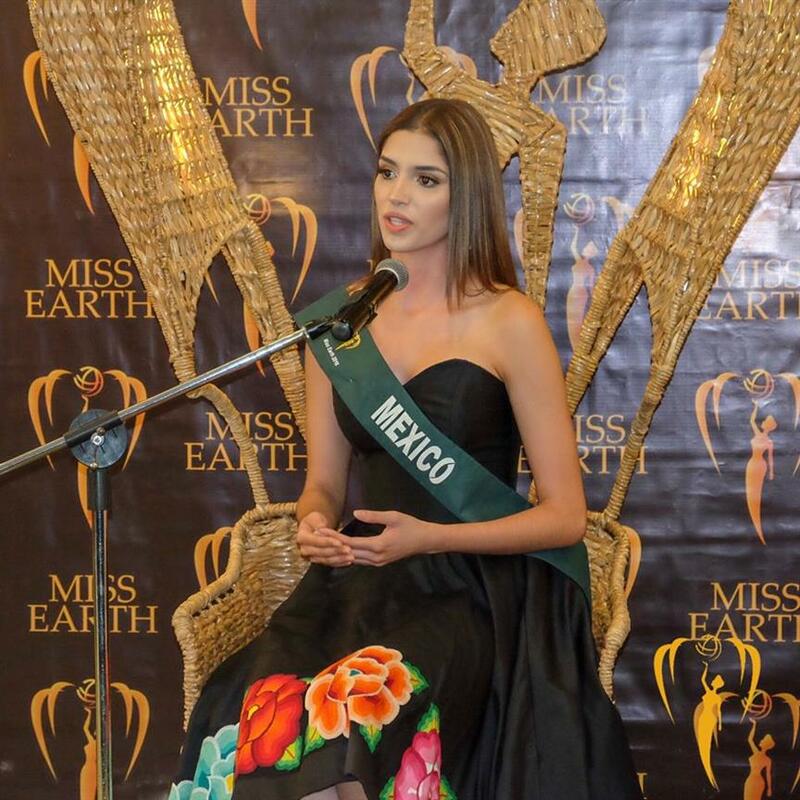 The coronation night of Miss Earth 2018 is just a day away and as the followers of this prestigious beauty pageant are getting excited to know what this year has in store, the delegates are working double the amount to prove themselves worthy of the crown. 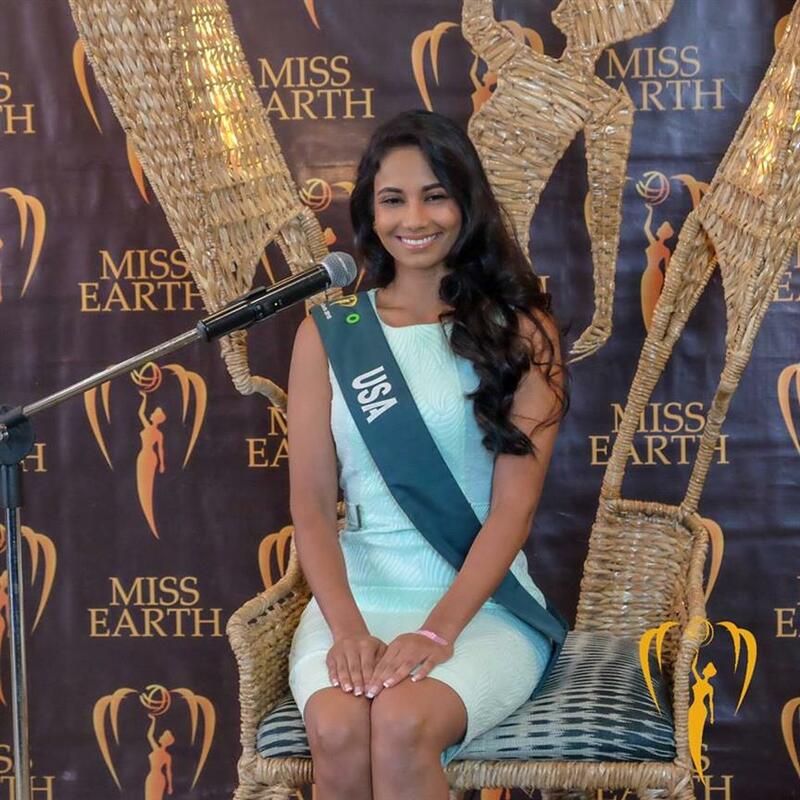 Winning the title of Miss Earth 2018 is no cakewalk, as the finalists have to go through numerous preliminary rounds, where they get judged on the basis of intelligence, beauty and fitness. 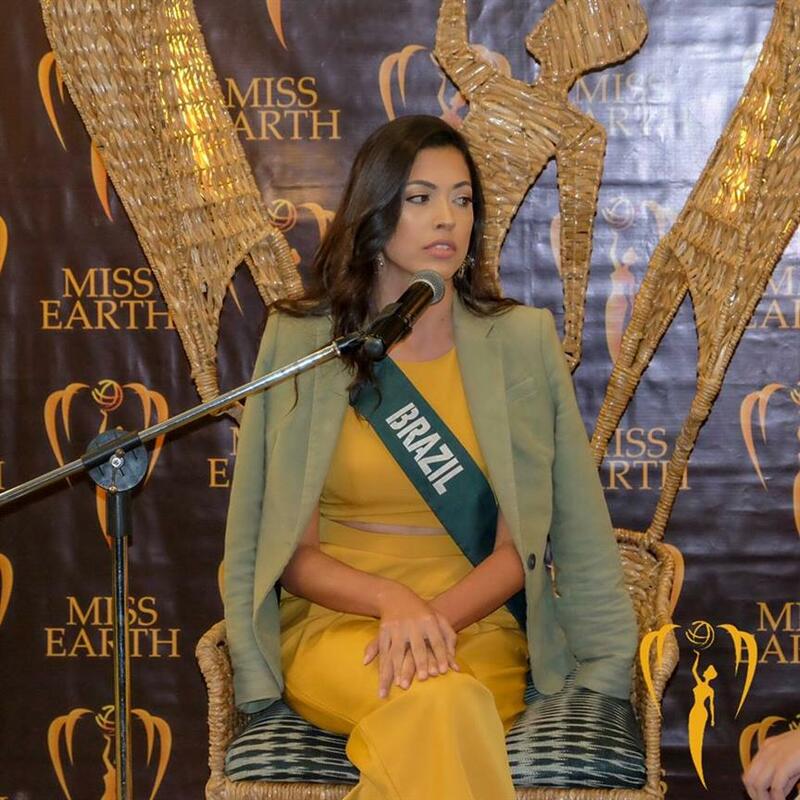 Similarly, the Intelligence and Advocacy round was held yesterday to get to know the contestants competing for the crown and see how deserving and compatible they are with the advocacies of Miss Earth 2018. The event started with the introduction and acknowledgement of the judges and the sponsors and with the announcement that the delegates will be judged on the basis of their communication skills and their Environmental Quotient and they will have just four minutes each to face the judges. Monique was the first person to speak in this round and she raised the bar really high in the four minutes she spoke. Monique presented her advocacy of reducing single-use plastic and converting organic waste into compost. She stressed on the ways one could instil these practices in children so that it turns into a habit. Sayonara is very aware of the existing environmental issues and even though she is a Business Administration student, she has been doing her part for the betterment of the society as she owns a resort wear brand that uses recyclable fabrics and packaging materials and using the disposed materials of big clothing brands to turn them into fashionable materials. Sayonara is developing on such a futuristic idea that will definitely become the norm in the coming time. Her brilliant advocacy makes her all the more deserving of the crown. 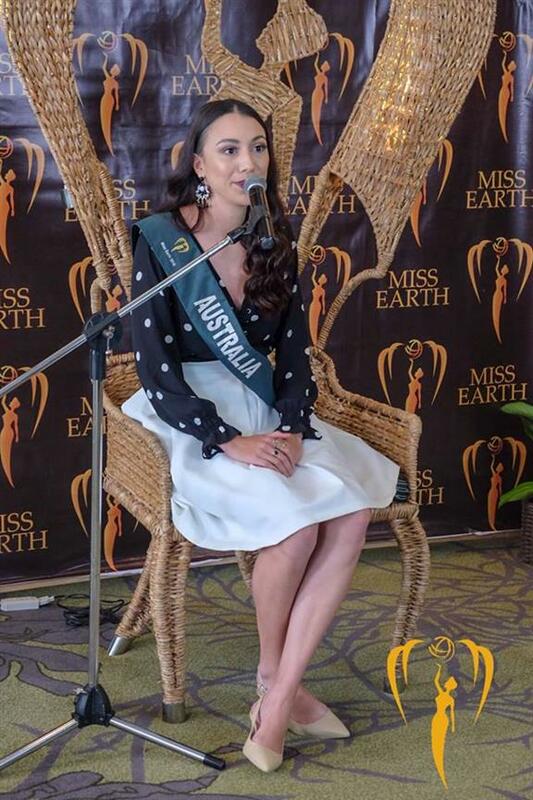 Antonia is an environmental engineer and thus perfect for the advocacies of Miss Earth as she would be able to execute them is the proper fashion. She answered the very basic question in a brilliant manner. Being an engineer, Antonia doesn’t have a lot of women in her field, so she is out fighting against inequality as well as environmental issues on a daily basis and that is a very brave thing to do. Vashti’s advocacy is to prevent plastic from ending up in open waters mainly through education and community engagement. She seemed like a person who is aware of environmental issues and the measures that the world is taking to cope with it. Since Vashti is also involved with ecotourism, she proposed the system to transforming plastic waste into showpieces and furniture, especially in the eco-tourism spots around the world, which is a very smart idea indeed. Melissa looks gorgeous in her black gown and she stood out more so because her career is related to her advocacy. As a student of Psychology, she believes that changing the mindset of the people will help bring about a change in the environmental issues that we are facing today. Upon asked about the problems created by the President of the USA and its effects on her nation, she replied by saying that her nation is strong enough to face such adversities. 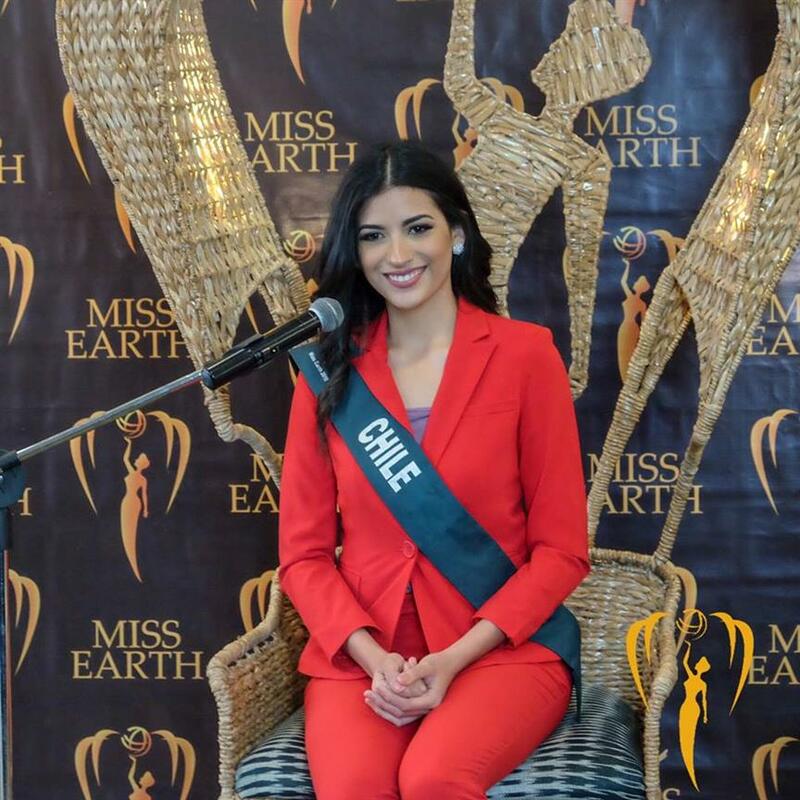 She is thus a goal-oriented person who wants to do better for the world in any way possible, and that is a sign of a true beauty queen in the making. 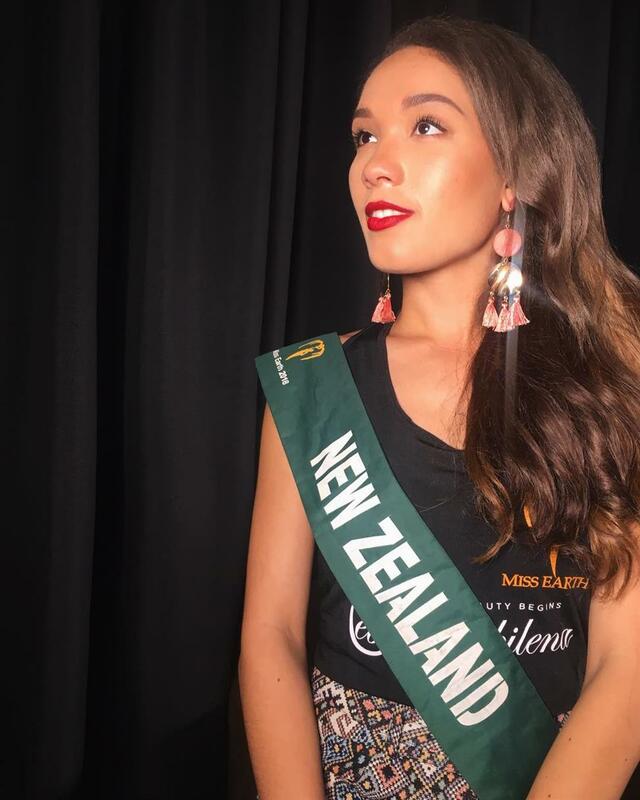 Jzayla was a very amiable person to talk to and since she has travelled to 23 different countries already, she is well aware of the cultural and environments diversity around the world. Jzayla won the judges’ hearts through her communicational skills and more so, through her advocacy that focused on biodiversity. She based her theories on her knowledge about the countries that she has visited. Celeste has a Filipina-Italian background and she is still learning about the culture of the Philippines as she moved into the Philippines just six months ago. Her advocacy revolves around the reconstruction of plastic waste in a way that we become creative with it, like build the road, construct buildings and produce clothes. Apart from presenting her advocacy, she also talked about the cultural similarities as well as differences between Philippines and Italy which opened up a lot of topics between her and the judges, ultimately leading to a good rapport amongst the two. Telma presented herself beautifully and described the environmental problems that all the states of her country are facing right now. 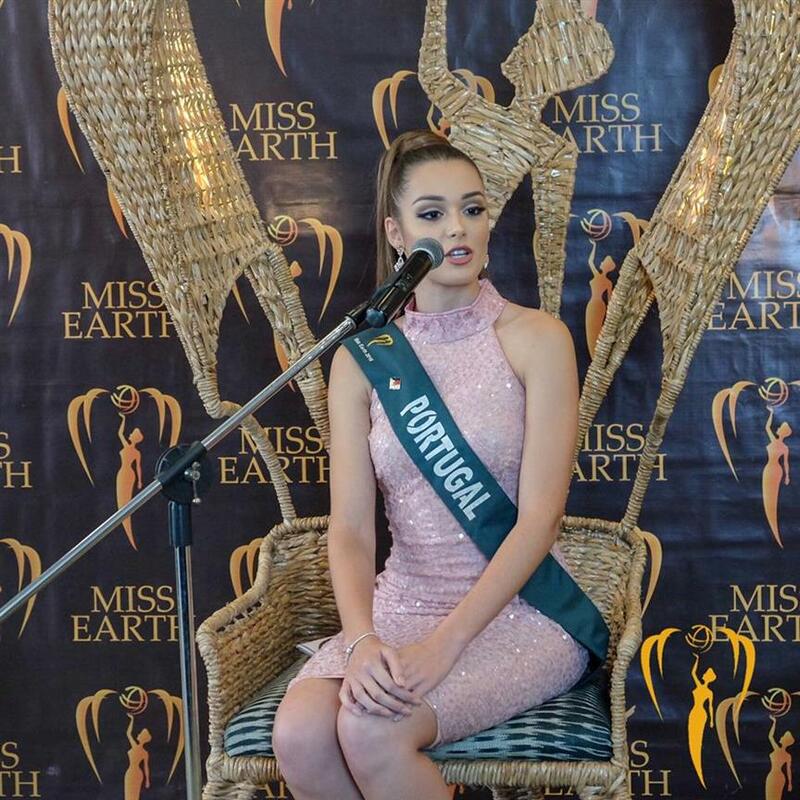 She showed initiative to make Portugal environmentally better even before joining the pageant. Telma has been involved with different communities and local governments to kickstart the requirements of her advocacy like beach and forest cleaning. She has also worked with children because she believes that giving proper education to children will be advantageous for the future. Yashvi spoke very confidently throughout her interaction with the judges. She is one of the most well-prepared delegates in the competition as she answered all the questions in a very sophisticated and respectful manner. Yashvi was asked about her take on her President’s role in environmental betterment, and she answered brilliantly by saying that the local communities of her nation have done a lot to alter the issues that they are facing and thus she is proud of her nation. Diana started by thanking everyone for the hospitality that she has received during her stay in the Philippines. 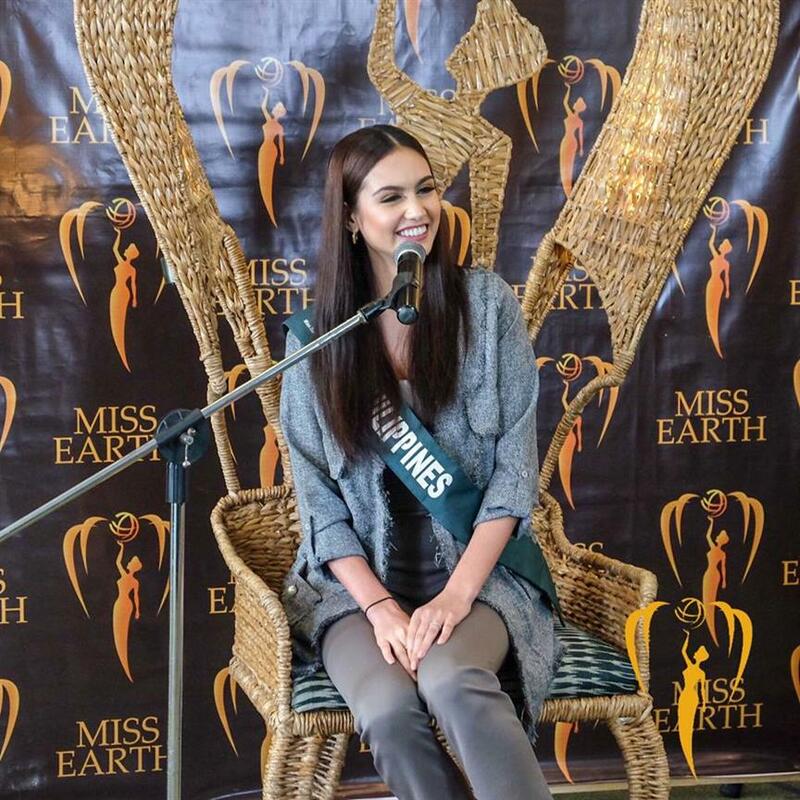 She then went on to say that her advocacy is to respect and love Mother Earth as it is our only home. 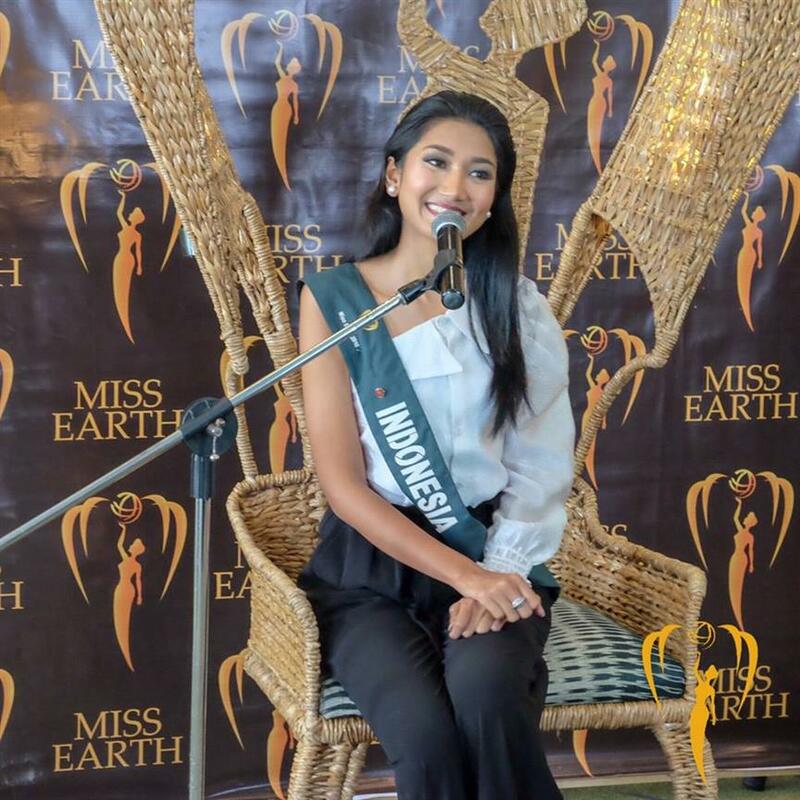 Her project is to develop local and national parks with the help of Miss Earth Organization as well as all the delegates participating in the beauty pageant so that everyone can contribute their part in her project as well as walk into a better world.